With this new solution, users can log on to different services, clients or servers with the option to choose between hardware tokens, soft tokens and apps for the creation of one-time passwords. The combination of two factors, "possession" and "knowledge", guarantees particularly high security standards with LSE OTP. 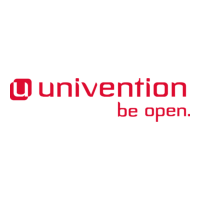 LSE LinOTP can be easily installed via the Univention App Center and allows you to manage user data for authentication purposes centrally in UCS.